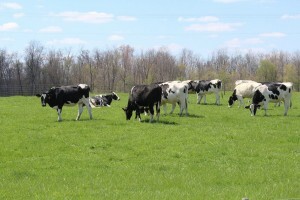 MONTPELIER, Ohio — When people hear of Bridgewater Dairy, located in the northwestern corner of Ohio, they often think of the methane digester that the farm installed in 2008 to create energy from cow manure. A new concept at the time, the digester captures the methane from the manure, which is used to power two 600 kwh generators. The generators, in turn, produce electric — enough to power about 400 homes. The digester brought the farm national recognition, as it was the first of its kind in Ohio. And in nearly eight years of operation, it continues to be a viable source of alternative energy. But there’s much more going on at this farm than the digester. First, and foremost, are the cows. The Weaver family, comprised of Leon Weaver, and his son, Chris, and their families, milk about 5,500 cows across three different farms, with the help of nearly 100 employees. The Weavers built the home operation, Bridgewater Dairy, in 1998. Prior to that, they had worked on dairy farms across the country, and as far west as California, where Chris Weaver earned a college degree in ag management and economics, and where Leon practiced veterinary medicine. Chris earned his degree at the University of California, Davis, and Leon earned his veterinary degree from the University of Pennsylvania. In 1998, when Chris was 25, they built Bridgewater Dairy from the ground up, on about 1,500 acres in Ohio’s Williams County. The family was looking for a place to build their own dairy farm that would have a good climate for the cows, and a good business climate for farming. “We knew California was kind of overcrowded,” Chris said, adding that some of the states they had considered were too hot. Williams County provided a good location, with farms all around them, but not very many dairies. They were able to buy the land they wanted, and today they farm about 5,500 acres, and purchase the rest of their feed needs from local farmers. About 3,000 cows are milked at the main Bridgewater farm, three times a day in a double-42 parallel parlor. 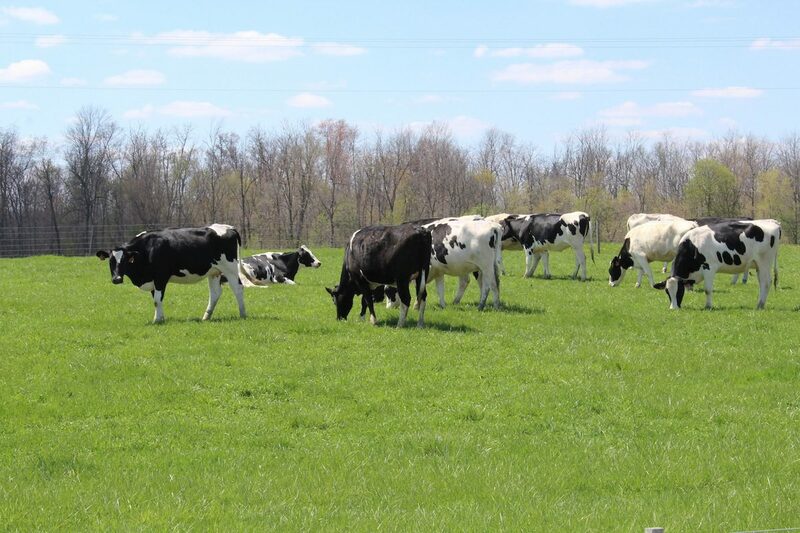 In 2011, they opened their second operation, Oakshade Dairy, a few miles to the east; and in 2012, they started Bridgewater Indiana, in Fremont, Indiana. The growth, Chris said, was an effort to retain employees who were advancing in the farm, and needed more business. “As employees or people in our organization have grown in skill level, we always believed that people want to continue to grow at some level,” he said. Each farm has its own manager, and a host of farm workers under the manager. 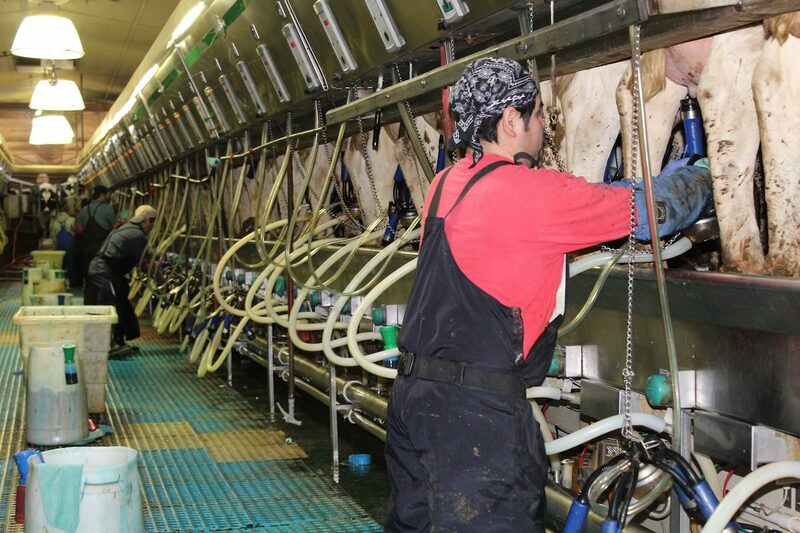 Some of the workers have college degrees, while other positions, like milker, are usually entry level. Chris, 41, is an operations manager and helps oversee all operations, while Leon, 68, focuses on veterinary care. 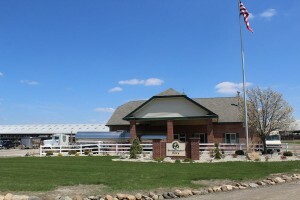 The day-to-day office work for all divisions, including the field crops division, takes place in a central office on the main farm, where the Weavers also hold company meetings and special events related to the farm. Today, the farm’s biggest focus is fine-tuning the different locations, and making sure each farm serves a common purpose. “We’ve grown significantly, even over the past five years, and our focus right now is on getting our systems and processes and people and cows and land — our resources in general — to be the best they can be,” Chris said. The farm keeps its own heifers until they’re about three months old, and then a custom grower in Kentucky feeds them, until they’re brought back to the farm, about 2.5 months before calving. The bull calves are kept on the farm about a week, and then raised for beef at another farm in Indiana. Most of the manure is applied by a custom applicator the Weavers hire, and it’s injected into the ground, based on soil nutrient tests, and GPS mapping. As a large farm, the Weavers know all about the perceptions and criticism that large farms face. From the environmental side, the farm does generate a lot of manure, but that same manure helps displace manufactured fertilizers, while also providing energy for electricity. Also, because of its size, the farm is required to meet state and federal requirements related to all of its manure and waste disposal, which means it’s under as much or more regulation — and inspection — than a nonpermitted farm. “A lot of the things that people are concerned about related to manure, we’re already regulated in all those areas,” Chris said. As for the number of cows, Chris said it’s what they need if they want to be able to retain good labor, and grow their farm. As he sees it, small farms and big farms are all doing the same thing, at their own scale. 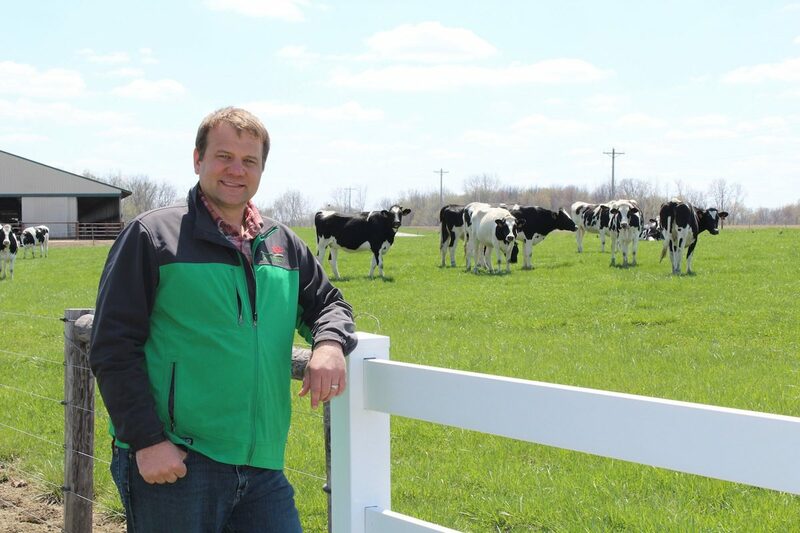 “Every dairy farmer does his part to produce milk for people, and really, it’s our responsibility as the dairy farmer to be doing it the best way and the most environmentally friendly way. And I think we work hard to do it the best way,” he said. And, he added, the size of the farm comes down to what you enjoy. “I enjoy what I’m managing, and I think my employees enjoy what they do. And a guy who milks 200 cows enjoys what he does,” Chris said. Being larger also allows workers to specialize in different areas, whether it’s management, office work, veterinary care, milking, field work, or a host of other things. The digester alone is a full-time commitment, and requires oversight of a worker who has mechanical and operational knowledge. Like his dad, Chris is involved in the statewide dairy industry, serving on the Ohio Dairy Producers Association board, and as a trustee for the Ohio Farm Bureau Federation. The farm usually does not hold public tours and visitation, because of the liability, biosecurity and the concern for safety of both the cows and visitors. But the Weavers are highly supportive of, and cooperative members of, The Dairy Adventure at Fair Oaks Farm, the tourist-friendly dairy along Interstate 65, between Chicago and Indianapolis. Fair Oaks offers an interactive and educational experience, and is about a three-hour drive from Bridgewater. Although Chris isn’t set up for daily visitors at his own farm, he blogs and posts pictures on a regular basis. And who better to oversee animal welfare at the farm than a veterinarian-owner? Leon Weaver also served as a charter member of the Ohio Livestock Care Standards Board, and helped develop new rules for animal care across Ohio. First, the farm has to establish policies and protocols, then it has to train workers to implement those policies, and lastly, the farm must evaluate the results and how well the cows are performing. Chris and his wife, Katie, have three children, but it will be a few more years before he has more help. Hannah is 6, Noelle is 4 and Aaron is 1. Every day brings something new and unexpected, but he enjoys the challenge. Previous articleWhy isn’t there a badge for life?